Enjoy these two wonderful recipes from our Guest Contributor Monica Henin! Summer season is all about having fun in the sun. Going on picnics, inviting friends to home for a delicious lunch and soaking in the great weather conditions is what most people want to do in the summer season. When it comes to food, the most preferred choice among people is BBQ because of the juices and smoky flavor. 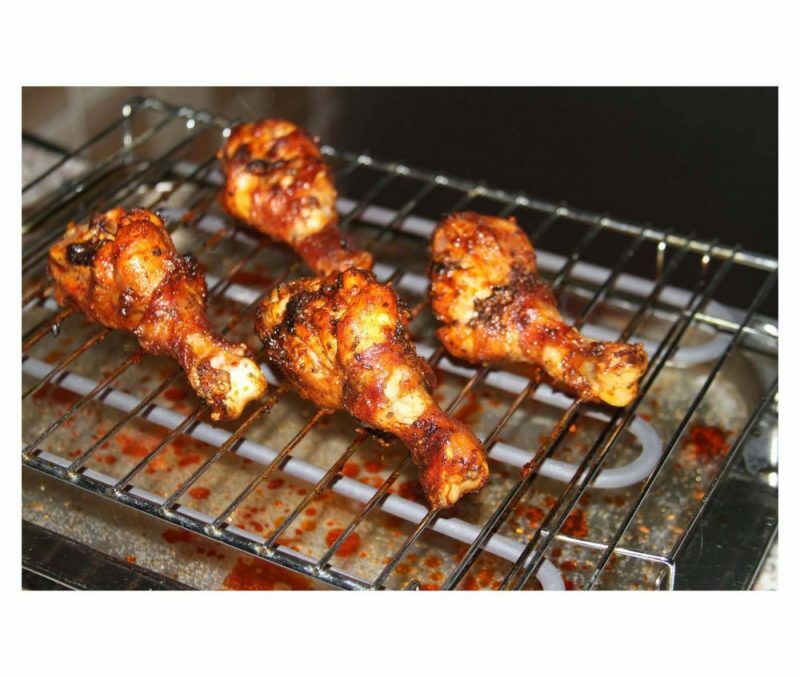 If you have an electric smoker in your house, then you can easily enjoy the scrumptious meaty delights at your will. If you are looking to give a twist to BBQ recipes, then read this post till the end because today, we’ll be discussing two recipes that involve steak and chicken, but it won’t be those regular smoked steak and chicken recipes. We are going to add some unique flavors to both recipes to excite your taste buds, so read on. 1. 2 lbs trimmed skirt steaks. 2. 2 garlic cloves, mashed. 3. 1 tbsp., chili paste. 4. 1 ½ tbsps., soy sauce. 5. 2 tbps., rice vinegar. 6. 2 tbps., brown sugar. 8. 1 tbsp., fish sauce. 1. Preheat grill to medium heat and apply a light coating of oil on the grate. 2. Take a large bowl and add rice vinegar, garlic, orange juice, fish sauce, chili paste, soy sauce and rice vinegar in it. Whisk all the ingredients until you get a nice consistency. 3. Now, add skirt steak into the bowl and make sure that the mixture fully coats the steak. Keep the bowl aside for 15 minutes. 4. After marinating steaks for 15 minutes, take the steaks out and place them on the grill. Cook until the steaks turn brown at the outside and light pink at the center. It will take around 4 minutes per side. You can make use of a thermometer to check the temperature at the center of the steak. It should be at 140 degrees Fahrenheit or 60 degrees Celsius. The recipe is ready now, so you can have it with a hot & spicy sauce or mint sauce (depends on your taste). The next recipe that I would like to discuss with you is a barbecued chicken recipe, which is marinated in Korean marinade. So, if you haven’t had a chance to eat a chicken that has been made ‘Korean’ style, then this is your opportunity to do so. Let’s discuss the recipe in detail. 2. 1 tsp ground ginger. 3. 1 tsp onion powder. 5. 1 cup soy sauce. 6. 1 cup white sugar. 7. 4 tsps., hot chili paste. 8. 1 tbsps., lemon juice. 1. Place a saucepan on the stove and turn on the (high) heat. 2. Add ground ginger, onion powder, soy sauce, white sugar and water into the pan and whisk all the ingredients. 3. Bring the mixture to boil, and then reduce the heat to low. Let the mixture simmer for 5 minutes. 4. Take the saucepan off the stove and let it cook. 5. Add some hot chili paste and lemon juice. 6. Now, add chicken pieces into the mixture. 7. Cover the saucepan and let the chicken marinate for at least 30 minutes before putting it on the grill. Ideally, the chicken should be marinated for 3-4 hours, but if you don’t have that much time, then 30 minutes will also serve the purpose. 8. After waiting for 4 hours, take the saucepan out of the refrigerator. 9. Make sure to preheat the grill in order to get over with the grilling process quickly. 10. Place the chicken pieces on the grill, cook each side for 2-3 minutes and then, flip to the other side. 11. The outside of the chicken will turn dark brown, and when it does, remove the chicken from the grill and place it on a plate. 12. Serve with sliced onions and mint sauce. Author Bio: Monica Henin is the author of this incredible post. She has been writing for quite some time, and her posts on healthy recipes and food tips have been appreciated a lot by her readers. Find out more about her and the posts she wrote at Addonkitchen.com.